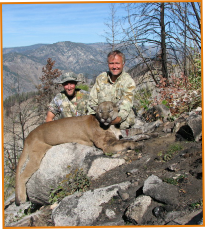 We are able to offer a hunt that gives the hunter an opportunity to harvest 2 bears and 2 wolves and 2 cougar. This is new for this season and is an exciting opportunity to say the least. All of the hunts are 6 day hunts. 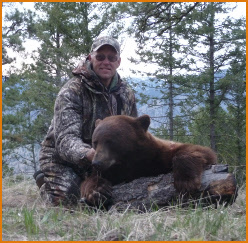 The bear hunts can be either over bait or spot and stalk hunts. 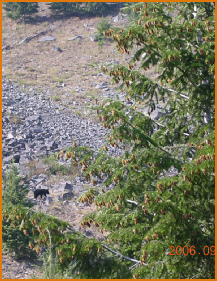 The wolves and cougar are spot and stalk or calling. The camp is located in an area that used to be used by miners at the turn of century. 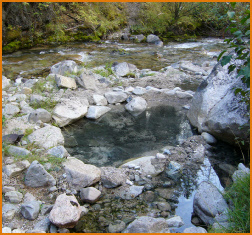 It also has 2 hot springs! in the camp so when the days’ hunt is over you can relax with your favorite beverage and soak away those sore muscles. The camp has a cook tent and hunter tents with all the amenities to make your hunt a memorable one. Tags are guaranteed and the cost for non-residents for all 3 species is $31.75 for each tag that is purchased. Each camp is designed for 2 hunters at a time. Arrangements can be made for a bigger camp. Does not include taxes or licenses and tags. Wolves and Bears are at all time high population wise in Idaho. 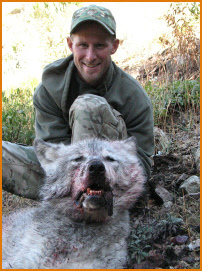 We are offering a fall predator hunt for this August and September. 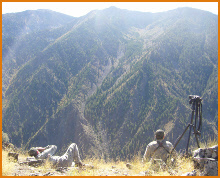 The hunt is located in unit 27 in the Frank Church River of No Return Wilderness.